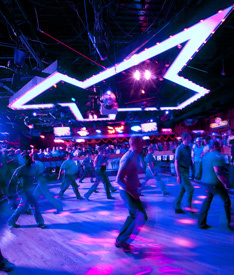 Like the documentary we made about our collegiate dating career—theme: everyone is welcome, everyone goes away amazed—Dallas’ premier gay country dance club takes swish and swoon to a whole new level. Spruced up gents (and gals) show up at this Cedar Springs institution in starched Western shirts and well-heeled boots ready to hit the floor. Through fires, through renovations, through smoking bans, this gay bar to beat all gay bars has kept on kicking. And for that, we love it. Chaps and spurs optional.